The English name for a special kind of disease carried by a tick is Lyme disease (LD). The name comes from a north American city, Lyme. The disease, however, has a much longer history. Today, however, most people are fixated and think only of Borrelia as a cause for Lyme disease even though different bacteria may be involved. In medical literature, there are notes that stretch back at least a century expressing symptoms that are similar to today’s classification of Lyme disease. There are other forms of bacteria that can cause diseases which have been classified as co-infections. These are Babesia, Bartonella, Anaplasma/Ehrlichia. Secondary infections may be Mycoplasma, Candida, Epstein Barr and others. In most cases, ticks are carriers of the bacteria that we today classify as tick-borne disease. But there are other ways that the bacteria are spread, such as fleas, lice, mouse, deer, bats and many more. The bacteria Bartonella is spread by cats. That is why it has been called “Cat Scratch Disease”. How do you know if you have been infected? 50% of the time the first sign of the disease is a reddening of the skin, which appear within 48 hours. Sometimes it can take up to several weeks after the bite before this appears on the skin. If you get a red spot it is called Erythema Migrans, EM. This means that you may have been infected, and that the disease has started to spread to vital organs that contain large amounts of collagen. In other words, it has applied to the brain, heart, lymph, kidneys, nervous system and joints. 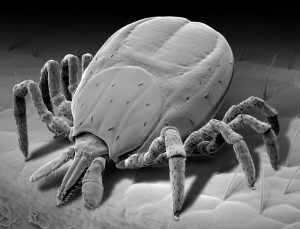 What symptoms are associated with Tick-borne diseases? How can Tick-borne diseases be treated? The treatment of Lyme disease within conventional medicine is antibiotics of some kind, normally tetracycline (Doxyferm, Rifampicin or Ciproflox). Unfortunately, antibiotics doesn´t work particularly well. In most cases, there will be only symptoms treated, without any long-lasting effect. To my experience, it simply doesn’t work to remove Lyme disease with antibiotics! When the treatment period is over, the bacteria come back and the symptoms with them. However, there are other treatment methods that can work much better. To my experience, it is possible, in many cases, to treat Tick-borne bacteria with herbal and nutritional supplements, which helps the individual to recover and give them back a normal life. It should be noted, however, that there is no guarantee that the result will last.